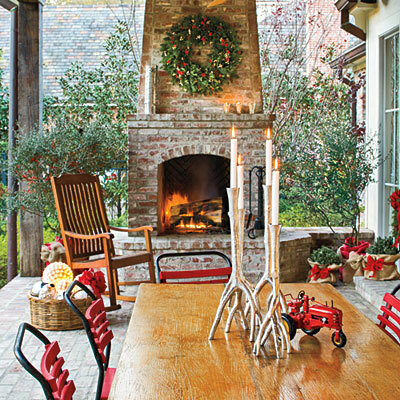 Mix and Chic: Fresh and fabulous Christmas decorating ideas! With less than a week before the arrival of Christmas and doing some last minute holiday decorating myself, I am definitely on the lookout for holiday decor inspirations. 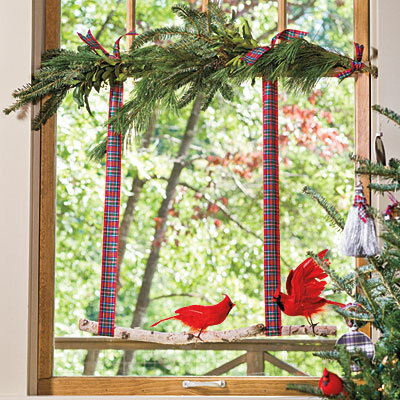 I found some fresh and fabulous Christmas decorating ideas below which some of them I haven't even consider before. Let's take a look. 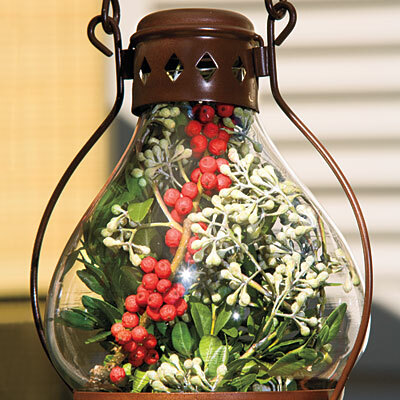 Fill lanterns with berries and eucalyptus. 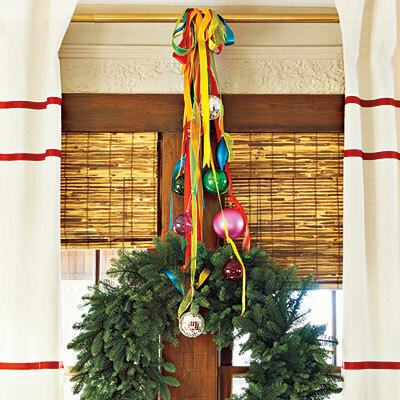 Hang a wreath from a curtain rod. 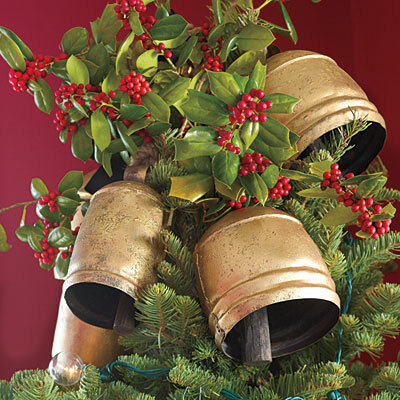 Use bells as tree toppers. 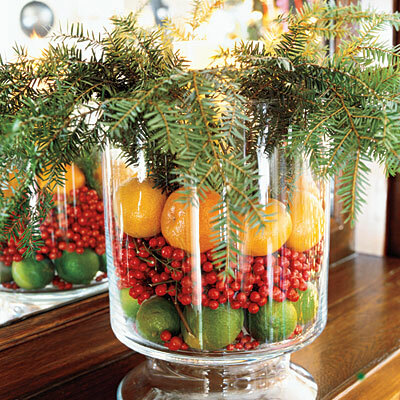 Create an arrangement with fruit and greenery. 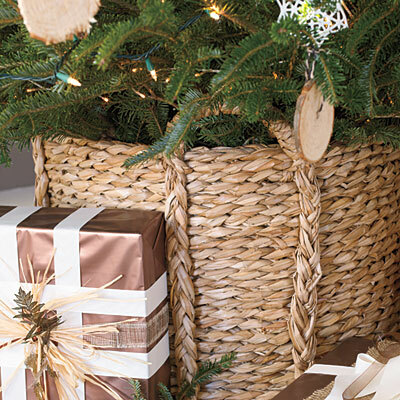 Put your tree in a basket. 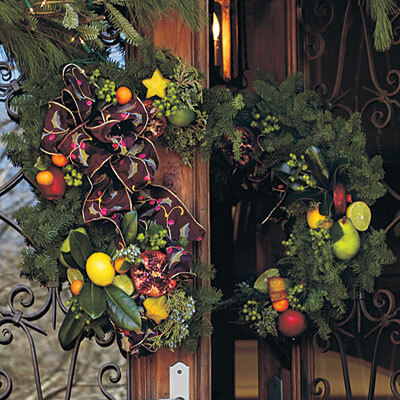 Greet with a garden theme. 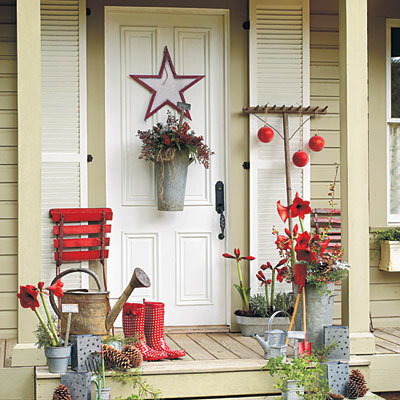 Add cheer to outdoor spaces. Have you tried or consider any of the above ideas before? Which idea do you find the most inspiring? Wonderful ideas, Jessie!! Love those bells as tree toppers, I want to do that next year!! Hope you're having a merry week! Great ideas, Jessie! There's some pictures here I haven't seen before. 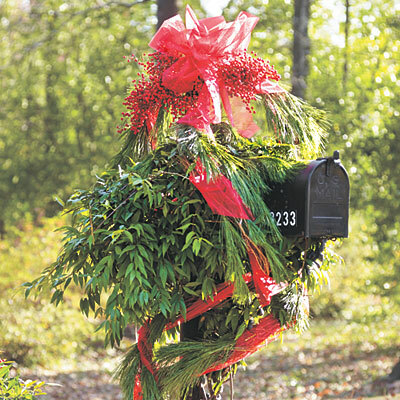 Good luck with your last minute decorating! Hey Jessie, It is most inspiring to watch you do it!Yikes it is the 21st...so I am making a list for next year. Really like these unique ideas! Those twinkling lights are so pretty! These ideas are so beautiful! I wish we had a reason to deck out our homes like this more often! love the tree in the basket.... Merry Christmas! I adore the fruit arrangement. Just perfect! 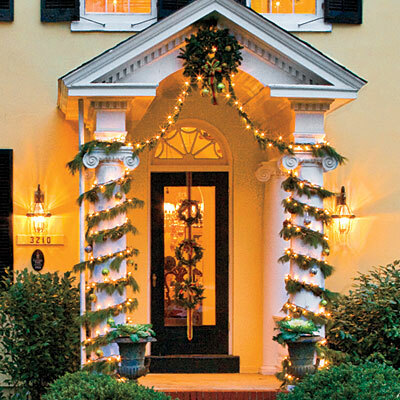 So pretty love all of the wreaths! 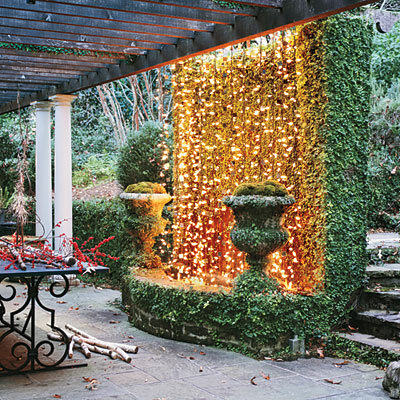 I like the outdoor decorating with lights ideas as well something eclectic or even unexpected. I like illuminations. The tree in basket looks cute but it would be tough to regularly water the tree, as one needs to do, in order to keep it fresh for weeks. Great pics! OK... this garden theme traveled me away! filling lanterns and putting the tree in a basket are such unique decorating tips. love this post! !